Authorities arrested the 65-year-old less than a month after he was dramatically freed on bail following more than 100 days in detention, in the latest twist in the case. Ghosn was detained at the central Tokyo apartment where he has been staying since his release on bail, with local media later reporting he had been transferred to the Kosuge detention centre. "Why arrest me except to try to break me? I will not be broken," Ghosn said in a statement issued through his representatives adding "My arrest this morning is outrageous and arbitrary." Prosecutors said Ghosn had been detained over transfers of Nissan funds totalling $15 million between late 2015 and the middle of 2018. They suspect $5 million of that amount was used by Ghosn for personal expenditure. Ghosn's lawyer told reporters that prosecutors were engaging in "hostage justice." Reports emerged this week that Japanese prosecutors were investigating transfers by Ghosn of over $30 million of Nissan funds from 2012. That came after news that Renault, which Ghosn also once headed, had handed French prosecutors documents showing the auto tycoon had authorised suspicious transfers worth million of euros. 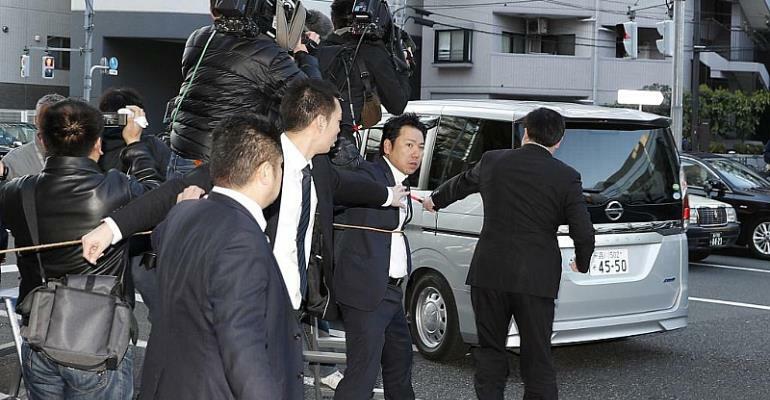 The former high-flying executive already faces three charges in Japan of financial misconduct related to allegations he under-reported his compensation and sought to transfer personal investment losses to Nissan's books. He has denied any wrongdoing and took to Twitter for the first time Wednesday to announce plans to "tell the truth" at an April 11 news conference that now looks unlikely. Prosecutors can hold Ghosn for up to 22 days while they investigate the new claims before he can seek bail again.